yes, i am still lingering in october now that it is december. 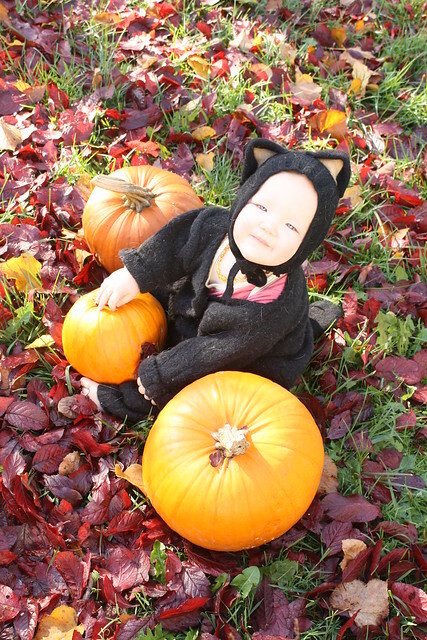 please excuse my tardiness, and appreciate the cute halloween photos. 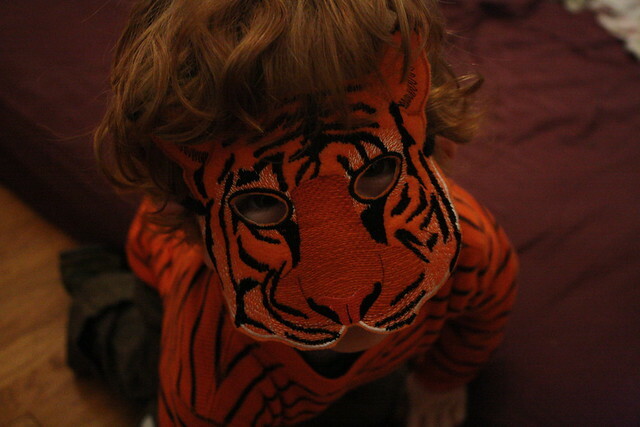 when colden requested to be a tiger, we thought we needed some help with costume-making. the tiger mask was an etsy purchase by kathleen. azalia didn't dress up for halloween itself, but she posed for some pictures in colden's old sweater costume (sheep turned bear/cat). hope you all had a very merry halloween and a happy thanksgiving!